Essie Gel Couture is inspired by the elite world of couture fashion. Take a glimpse into the world of quality craftsmanship & artistry with the new sophisticated, couture quality range of bright, pastels, neutrals & deep shades. "Once you get your hands on it, you'll never let go.." The world of couture at your fingertips, introducing 4 collections inspired by moments of couture. Essie Gel Couture Atelier Collection 2016 is embodied by the neutrals. A collection that makes a powerful statement with 12 soft neutrals. Shades that scream delicacy with quite, powerful strength. Inspired by the place of work & study of the haute couture fashion designer. A shade of luxe for every heart's desire, from a lustrous shade of pearl in "Make The Cut" to a creamy lace in "Sheer Fantasy". 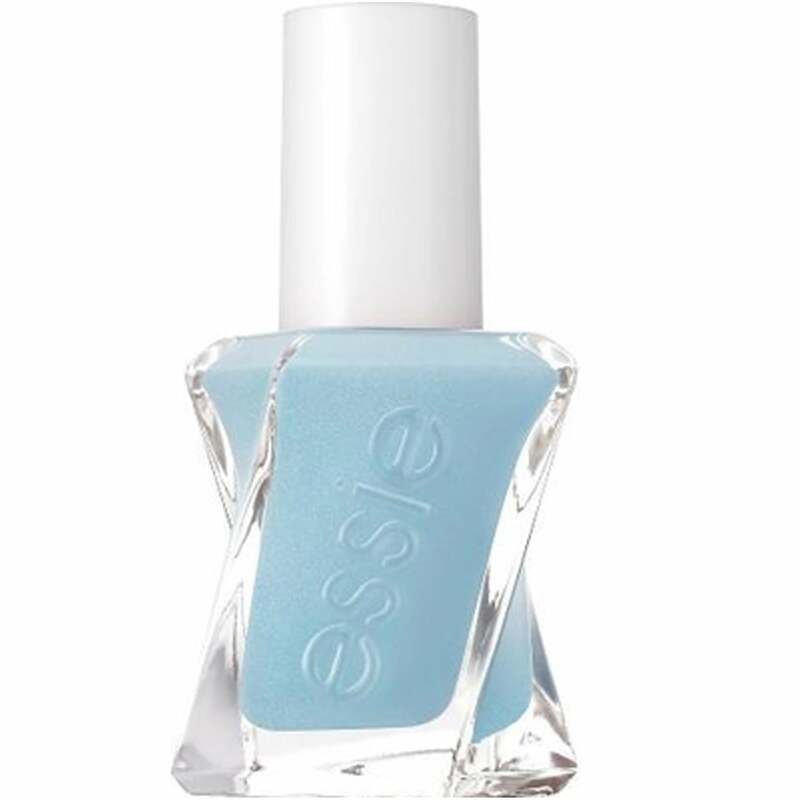 Essie Gel Couture Atelier Collection 2016 in the shade "First View" is a unforgettable cashmere baby blue.